The theory of multifrequency stimulated Raman scattering (SRS) of light on rotational transitions of molecules, which are simulated by a three-level quantum system, is developed. It is shown that the application of bichromatic pumping increases the scattered radiation spectrum width. The exact algebraic solution for the wave amplitudes is obtained in the simplest version of synchronous SRS on transitions with a negligibly low eigenfrequency. It is found that an increase in the ratio of the Raman transition frequency to the pump radiation frequency leads to predominance of the anti-Stokes scattering branch. 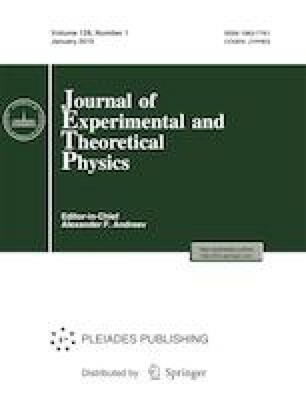 The effect of wave asynchronism emerging due to linear and nonlinear dispersion of the medium as well as the phase difference of the pump waves on SRS is considered. All types of asynchronism narrow generated frequency spectrum and suppress the anti-Stokes scattering branch. Nonlinear dispersion ensures positive values of wave amplitudes due to phase jumps by π during the propagation of waves in a medium.